Don’t let skin care drop off your radar now that summer is over. It’s not just about sunscreen or skin cream! 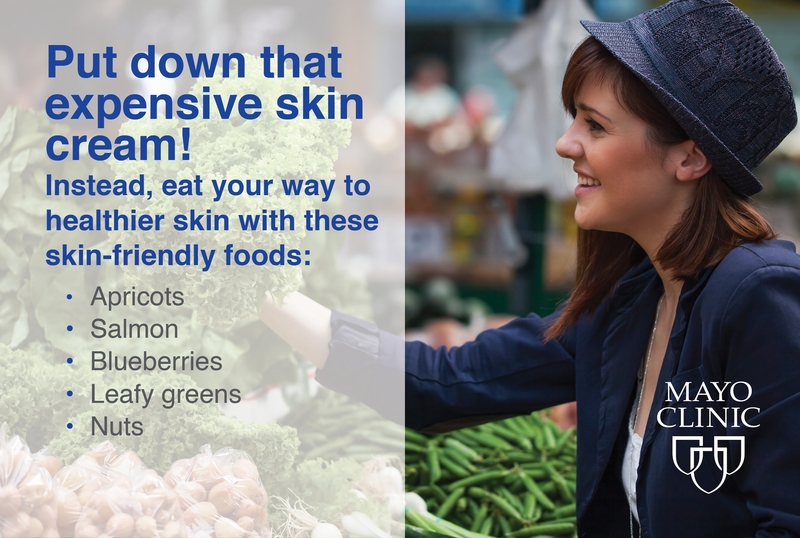 Experts at Mayo Clinic say that skin-friendly foods like apricots, spinach and salmon, are rich in antioxidants and a smart addition to your diet. Your skin will thank you! Don’t let skin care drop off your radar now that summer is over.